HAMILTON, Mont. — No one knows much about the isolated bighorn sheep herd that calls the area around Painted Rocks Reservoir home. With the help of two sportsmen’s organizations, Montana Fish and Wildlife biologist Rebecca Mowry has been working this winter to capture and GPS collar eight of the animals. With the help of a helicopter crew and a large number of volunteers, Mowry was able to fit three with collars in December. Over the last few weeks, she and others have been darting others in an effort to get the remainder of the collars out. The best guess is there are as many as 75 bighorns that live in the area. The main herd contains about 50 with the remainder scattered about in small bands. The GPS collars will track the animals over the next two years before dropping off. “Mostly, I’m trying to learn where they are going and if they are connected to any other herds,” Mowry said. There are bighorns both in the East Fork of the Bitterroot and over the divide in Idaho. “I would like to know if there is any connectivity between the different herds,” she said. When capturing the sheep, Mowry also takes blood samples, as well as nasal and tonsil swabs. In other areas of the state, bighorn sheep herds have experienced large die-offs. The native sheep are susceptible to diseases carried by domestic sheep. 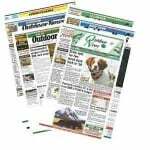 The Ravalli County Fish and Wildlife Association and Montana Wild Sheep Foundation paid for the collars. Ravalli County Fish and Wildlife President Bob Driggers said the two organizations have been working together over the last two years to get the study in place. “We want to do what we can in helping to get a little bit of history on this herd of bighorn sheep,” Driggers said. “We want to find out if they stay there all winter or do they migrate. We would like to have a better idea on how many there are and if we are losing many to predators. Driggers said he spotted six rams last fall at the 22 or 23 mile marker while hunting mule deer in the area. 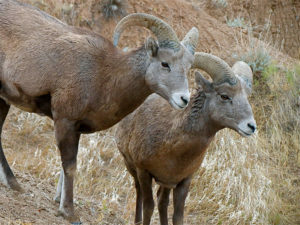 Currently, there are two permits for bighorn sheep for the Painted Rocks area. The Ravalli County Fish and Wildlife Association has a long history of helping on wildlife research projects in the Bitterroot Valley. The GPS collars cost about $1,000 each. “We think that’s going to be a good investment,” he said.